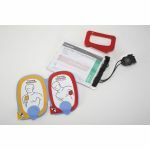 Physio-Control defibrillators have set the standard for over 50 years. 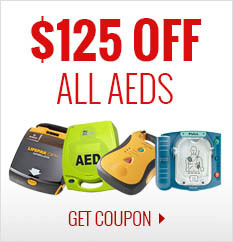 The LIFEPAK 15 raises that standard. 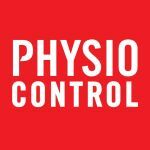 Their five decades of work with EMS organizations has given Physio-Control the depth of knowledge to offer innovative solutions that really work. 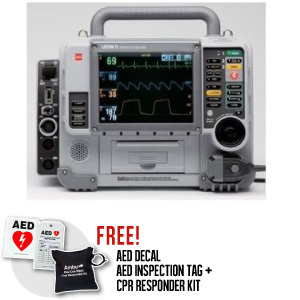 From that knowledge base comes the new LIFEPAK 15 monitor/defibrillator. 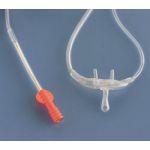 Designed with the latest clinical capabilities to provide the performance you need today and in the future, and tough enough to continue to deliver in any condition you encounter when administering emergency care. The LIFEPAK 15 is the first monitor/defibrillator that integrates non-invasive monitoring for carbon monoxide, SpO2, and methemoglobin (to detect chemical exposures and certain drugs). Once you've acquired a pre-medication 12-lead ECG, you can let the LIFEPAK 15 monitor all 12 leads in the background, and it will alert you to any changes through the ST-Segment Trending feature. 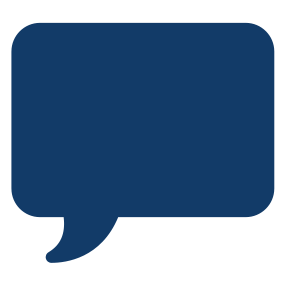 With the Web-based LIFENET STEMI Management Solution you can share critical patient data with multiple patient care teams and facilities throughout your region. Physio-Control's ADAPTIV biphasic technology on the LIFEPAK 15 gives you the option to escalate to 360J for difficult-to-defibrillate patients. The CPR Metronome uses audible prompts to guide the rescuer without distracting vocal commentary. The large screen (8.4 inch diagonally) and full-color display, with the one-touch SunVue mode, provides maximum visibility and view ability from any angle, any lighting. LIFEPAK TOUGH means the LIFEPAK 15 will keep working, whether dropped, kicked, soaked, or dirty. It easily passed the 30-inch drop test, and the IP44 rating means it will keep on working in a steady rain, wind, or other harsh environments. 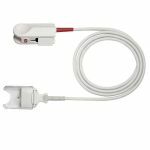 Add to all that a shock-absorbing handle, a double-layer screen that can take a beating from doorknobs and cot handles, and redesigned cable connectors for confident monitoring and therapy delivery. Using the latest lithium-ion battery technology gives the LIFEPAK 15 enough power to run a shift with less weight, and the battery lets you know when its life is coming to an end. With more processing power and speed, this platform is able to adapt to changing protocols and new guidelines, helping you avoid expensive, premature replacements. 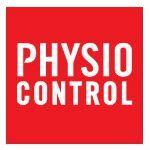 Physio-Control's service team operates 24/7 in North America. The LIFEPAK 15's self-checking feature alerts the service team if it ever detects a problem that needs attention, so you know it's ready when you need it. Available in essential, mid-level, and fully-featured configurations. Call for latest pricing.